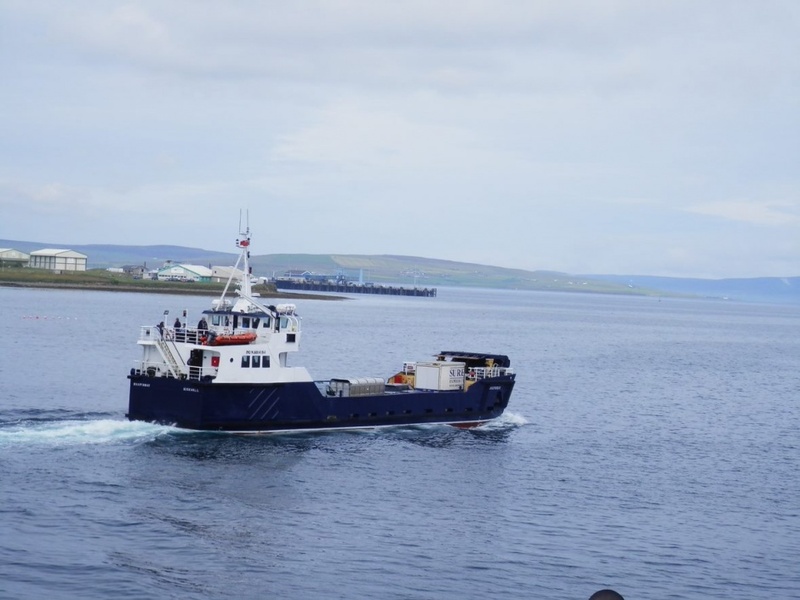 Life in the Orkney Islands depends on ferries more than anywhere else in the UK. Twenty of the 70 islands in the archipelago 16km off the north coast of Caithness are inhabited, and their residents depend on the regular network of small ferries that ply the heavily tidal channels between the islands for communication, provisions, education and many aspects of their everyday existence. Orkney is also one of the UK’s major centres for renewable energy: the European Marine Energy Centre (EMEC) is sited in its second-largest town, Stromness, and the wave and tidal systems it is testing are connected to the grid, wind turbines are commonplace (offshore turbines must be used onshore, because the winds are so strong) and the mainland has pioneered the use of hydrogen generated by renewable energy for several applications. The latest of these applications, the use of hydrogen directly injected into the fuel supply of one of the ferries, has now been funded by Innovate UK. The HyDIME project (Hydrogen Diesel Injection in a Marine Environment), which formally started on 1 August, has been granted £430,000 to design and integrate a hydrogen diesel dual fuel injection system. The 12-month project is intended to de-risk the technology, which will be globally unique during the life of the project. Shapinsay is the eighth largest of the Orkneys, with an area of just under 3000 ha (11 square miles), one village and a population which has hovered around 300 since 2000. 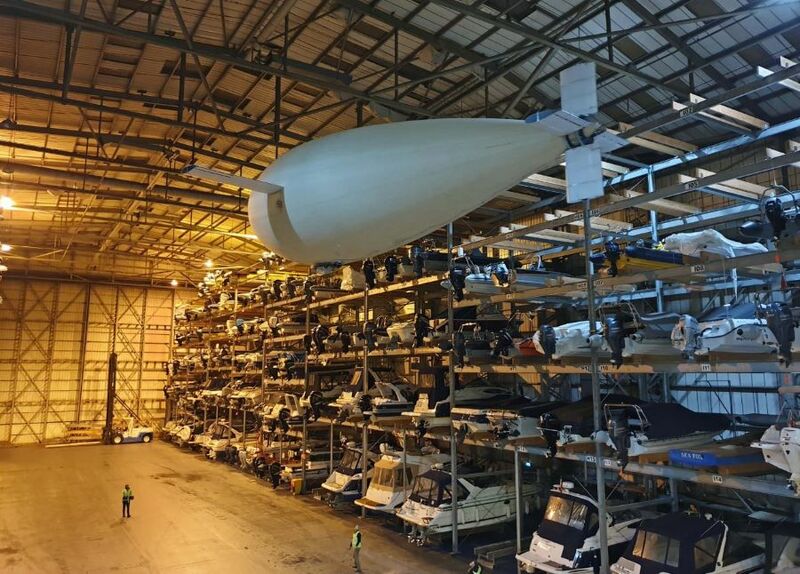 HyDIME will be executed by consortium led by Ferguson Marine Engineering and will also involve the Orkney Islands Council, EMEC, the High-Speed Sustainable Manufacturing Institute (HSSMI) which is headquartered at London’s Olympic Park but has an outpost in Glasgow, and Lloyds Register. It will use renewable energy generated for the island of Eday, of which there is often a surplus which is fed into an electrolyser sited at EMEC’s tidal energy test facilities. The hydrogen generated is currently used for a variety of applications around the archipelago, including generating electricity for the boats docked in the harbour at Kirkwall, Orkney’s capital, generating electricity and heat for two small schools, and powering fuel cell range extenders on a small fleet of vans. Hydrogen-diesel injection is currently being tested in the automotive sector. Injecting hydrogen into the air-fuel mixture of a diesel engine can improve fuel consumption by 20 to 30 per cent, reduce particulate matter by 85 per cent and cut nitrogen oxides by 50 to 90 per cent. The system is currently being tested on diesel Federal Express trucks in the Seattle area and several other automotive companies are looking at the technology. As part of HyDIME, Ferguson Marine, in conjunction with the Ultralow Emission Mileage Company (ULEMCo), will develop the design of how the system can work in tandem with existing systems to power auxiliary units on board vessels. Following this, the system will be physically integrated onto the Shapinsay ferry. Meanwhile, HSSMI will carry out a scale up analysis and a techno-economic assessment to determine whether any other region of the UK might be suitable for implementation of a similar hydrogen infrastructure. Why convert electricity to hydrogen, then burn it? You can buy a lot of batteries for £430,000 and an electric motor is a lot more efficient than a diesel. Keep a spare van packed full of batteries at the quay side and charge it up when convenient. When the ferry comes in, take off the van of flat batteries, roll on the van of charged batteries, plug it in to the ship and go. Who is evaluating these projects _before_ they are rolled out? “often a surplus …” “local grid cannot cope …” did these come as a complete surprise? So, now they are spending £1400 per resident to find a use for the hydrogen. And sure, air quality is a problem – but is a windy strait between Kirkwall and Shapinsay _really_ a priority location for mitigation over the inner cities? At last, common sense has prevailed! Hydrogen is known to have the fastest burn velocity of any fuel, and vastly improves fuel economy while cleaning up exhaust, only a small fraction of the original fuel load is required for this improvement to have a dramatic effect! Way to go! The only improvement here would be on-board generation of the hydrogen from scrap (swarf) aluminum, special carbon catalyst, and waste heat to 80 C. I expect the cost of scrap aluminum in the area mentioned would be prohibitive, however. Better stick to LH2, or compressed. Perfect solution? However the space occupied by the van may downgrade the level of service the ferry generally provides. The charged battery pack could be craned on board by a simple lifting device and placed in the space currently occupied by fuel and its combustion engine. The cost of alterations to the vessel may rule this out by unbalancing the budget. OK if the “store it in a battery” is really economic why not build a ferry from keel up to run on electricity. Fine but now you have got to have a safety margin on fuel carried (diesel gives the safety margin) would stored electricity be able to provide this weather guard safety margin? Looks like a good research exercise to me in the knowledge that wind generated power is currently going to waste at times. With this new conference in Seoul suggesting even sharper reductions in CO2 emissions, and increases in CO2 absorptions, we perhaps need a map of the world showing the main CO2 producing regions and the small regions which are actively CO2 negative. The Orkneys would obviously be a bright spot, but it is clearly possible to spread this around many islands and coastal areas, at the very least. Although Ian Downie might be right if the idea was only to reduce fuel usage on a few short-voyage ferries, hydrogen has huge advantages over batteries when this kind of thing is scaled up. Moreover Diesel engines need only the simplest of modifications to allow H2 burn. Agree with your comment that this is an ideal research opportunity. If a system for H2 cleaner burn with diesel can be proven that can surely benefit highly populated areas where eg HGV and LGV traffic is causing pollution. Any research to make diesels operate with less air pollution is a plus, and in a mobile situation like the on described it has potential. It is simply a case of converting the diesel to run on an alternative fuel, although from my research it would only work if the electricity was obtained from renewable energy sources, and was free or surplus electricity. Ideally it would be better to use an electric motor and batteries, but to replace the diesel motor may not be viable or economical. We are not going to replace diesel motors over night, and this research may be a good stop gap. There have been many attempts to use diesel and hydrogen in diesel motors, and the problem with the test results is that they vary so much with different testing conditions, temperature and load and do not give real life test results,( remember VW ). I’m not sure if the 20-30% reduction in fuel means reduction in diesel or reduction overall. Systems for injection of LPG into diesel engines used to be available and only a small injection of diesel fuel was required for ignition. So I think they should be injecting min. 80% gas and since the gas is renewable then the reduction in fossil fuel consumption would be 80% which is our overall target following the Stern report many moons ago. If that were done then this would be an achievable modification for existing ferries to achieve our CO2 reduction target. New ferries could either be the same or designed as EV with diesel backup. In the long term and for wider application you’re probably right, but for this application the potential benefits to fuel comsumption and air quality are real and require less of a modal shift. Try walking along the quayside in Kirkwall and take a deep breath. You’ll get a lungful of diesel fumes regardless of how windy it is. I did. Surely, the point being made here is that ferrys with diesel engines already exist, and that adding a small amount of hydrogen makes them run more efficiently, and with greatly reduced soot and NOx emissions. Maybe they could try hydrogen injection on our marine fleet burning heavy fuel oils, and see if we could clean them up too? Now that would help to clean up the oceans! The renewables are producing pure oxygen as well a hydrogen. this would allow turbines to run on coal powder producing pure CO2 that could be pumped into the empty oil wells. This would give further electricity generation with no release of CO2 to the atmosphere. If wood pellets or waste plastic were the fuel it would be a way of sequestering CO2 and would be eligible for credits funding etc. Another use for the pure O2 would be disposal of dangerous/toxic waste which should burn completely in pure O2. This stuff is mega expensive to get rid of . Perhaps Orkney could become a major clean up centre as well as hydrogen exporter?